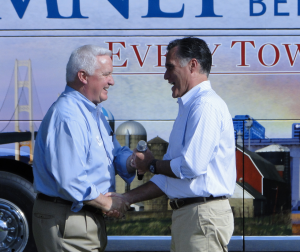 Cornwall — Mitt Romney and PA’s leading Republicans talked up his chances of winning the state during a rally Saturday. “I AM gonna win Pennsylvania!” Romney declared to a crowd of about 700 supporters in Lebanon County. Gov. Tom Corbett, Sen. Pat Toomey and several others joined him. But a last-minute cancellation by the Romney campaign may have turned the entire PA leg of the tour and the day into a net-negative for the candidate, judging by Sunday’s headlines in southeast PA.
Just a few hours before Cornwall, the former Massachusetts Governor declined to face a challenge that awaited him at a Bucks County Wawa gas station. In addition to about 200 Romney supporters, Democrats – including former Gov. Ed Rendell and about 150 protesters – had gathered there to greet him. Rather than face the mixed crowd, Romney’s bus made an unannounced detour to another Wawa across town. Quakertown was the second PA stop on Romney’s “Every Town Counts” bus tour. He started the day in Carbon County where he spoke to supporters at Weatherly Casting & Machine Company. He received his warmest welcome in conservative Cornwall, Lebanon County. GOP elected officials warmed up the crowd – and emphasized that PA is in play for the general election. “The people of America recognize that, whether you think he’s a nice guy or you don’t think he’s a nice guy, one thing you know is, he’s been a disappointment. He hasn’t gotten the economy going the way he said he would,” Romney said. Polls alternately show Pennsylvania up for grabs and leaning Obama’s way. 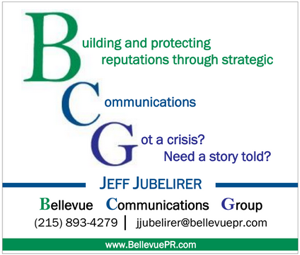 That plus Democrats’ 1 million voter registration advantage in the state has many questioning whether PA will actually be a battleground. Gerlach added Cornwall and other parts of Lebanon County after congressional redistricting. Corbett, Toomey and Lieutenant Governor Jim Cawley each cited their own 2010 wins as proof that it could be done. In recent weeks Romney’s campaign has begun to increase its presence on the ground with new, full time staff. 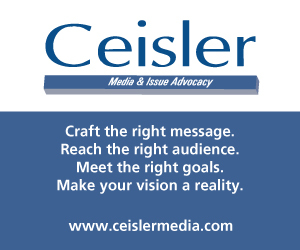 But as of the latest figures, the Romney team haven’t spent a dime on television in the state since the primary. 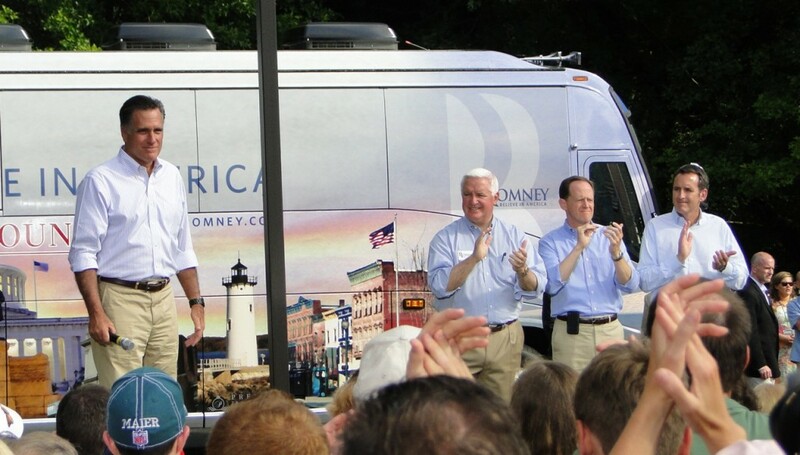 Former Minnesota Governor Tim Pawlenty, Toomey and Corbett all appeared with Romney. Each has been talked about as a possible pick for his running mate, but both of PA’s top Republicans cast doubt Saturday on whether they would serve. Corbett suggested that the presumptive nominee choose someone with executive experience. Two hundred yards away from the rally, the Obama campaign, several Democratic candidates and a few dozen protesters staged a response event. 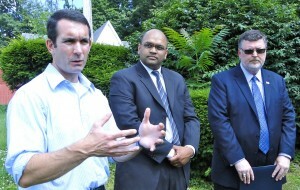 State Rep. Eugene DePasquale, candidate for Auditor General, Manan Trivedi, Gerlach’s congressional opponent in the 6th district, and Jerry Oleksiak, Vice-President of the PA State Education Association, stuck to the party’s message: that Romney’s policies had failed Massachusetts and would fail the country, too. The event was the last of half a dozen Dem responses to Romney’s PA tour. A free market method for stabilizing the housing market would be for banks to voluntarily reduce the mortgage balances of underwater homeowners in exchange for a PAR (Property Appreciation Right). I would agree with Sue on one point…it is (R-Money) Our Money that is being spent wastefully. The citizens of this country are the bill payers and are being stuck with unsustainable debt and the failed economic policies of the Obama-Casey Agenda that caters to special interests and specific voting blocks. If you look at the Forbes list of top 20 wealthiest Americans 60% are democrats. If you group them by family 75% are democrats. The three wealthiest, Gates, Buffet and Ellison are all democrats. @anna simms- seniors have a right to be concerned about Medicare in light of ObamaCare, the doubling of medicare premium in 2014 and the reduction of payroll taxes that fund Social Security. Seniors also have a right to be concerned about their savings in light of the tripling of our money supply, a 50% increase in our debt and a US Senate that still fails to pass a budget which constrains spending. Never forget last summer when the President used seniors social security benefits as a leverage tool to get more money to spend. He said unless he got the increase, seniors would not get their benefits. You have been paying your entire adult life into social security and medicare and have every right to expect that the government treats those assets with the highest regard. You had no choice in contributing. But instead of treating them as a debt owed when it came due, they have spent the money . Social Security money comes into the government, they buy a special bond with that money and then it goes directly into the general fund. Social Security is then paid from the interest on those bonds. The bonds they buy are just debt notes, not money sitting in reserve. So when someone talks about reforming the current system it is to make sure that we actually have the money to pay it. Medicare has been forecasted to be bankrupted in 2017-2018 since 1996 and the government has done nothing to change those figures. Unless of course you consider ObamaCare cutting a half-trillion dollars from Medicare over the next decade as a fix. R-money supports the Ryan budget which would turn Medicare into a voucher program and leave you to find private health insurance coverage. He will be the puppet of his 32 billionaire financers and the radical republicans of the House if elected. Mitt has a lot of senior citizen”s in Pa. that are worried abt their medicare & social security benefits. they carry a lot of the votes in Pa. he needs to give us some assurance.I”m 67<my husband is 71< you can see my concern.